That these two things were some of the biggest takeaways of the night says a lot considering that the stage show for this tour evidently costs upwards of $750k per night. I went with a pair of folks from The National, assorted loved ones, and a friend who heads up a NYC-based arts education non-profit that also presents avant-garde style concerts here in the city. The band is working on their new album right now, and I figured hey, what better inspiration? And I wanted to make sure the non-profit running friend always kept in mind an important maxim: as much as we may love & support the avant-garde it’s important to always remember that bands like U2 are just…better, more real, more vital entities than anything a subculture might create. Subculture is great and all but it is nothing without the popular culture which is its counter. You can invert that sentence — popular culture is nothing without subculture — and it is just as true. But, somehow, I think avant gardists more easily forget their position in the larger culture — that they are a sideshow, not the main show. UPDATED SEPTEMBER 28, 2009: This post required an addendum which is here. Thank you Alec you clearly have both U2 and the avant garde under your thumb. This may be the most classist post I have ever come across. How are you doing? I appreciate you taking the time to read my internet ramblings. I am, however, somewhat confused? How is this classist? Note: I am now concerned that certain readers of this post, deaf to the undercurrent of gentle sarcasm, may think (1) that I support Bloomberg’s unfettered lurch toward overdeveloping our fine city (putting an apartment out of reach for the middle class), and (2) that I think the $40 million or so that U2 blew on this tour was the best use of that money to be had. Neither thing is true! And, hey, I rather liked David Byrne’s take on the tour. Anyhow, please clarify your assertion if you would be so kind. Or, hey, maybe you meant to say this is the “classiest” post you’ve ever read. In which case, I’m happy to retroactively edit your comment. Well your sobriety has quelled the vitriol but nonetheless I feel your ‘subtle sarcasm’ is sort of an afterthought…which is to say that if you’re really making a joke I still fail to see it. 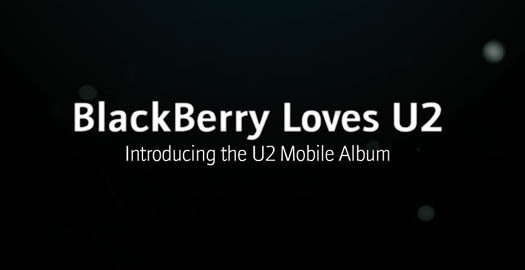 Nobody in their right mind can claim that U2 isn’t a walking lie. David Byrne’s point is moot. Teasing the idea that resigning oneself to the corporate class supporting them is “better” or “more real” (and yes this is to mix your sentence a bit) is dangerous, particularly for someone as professedly involved with “counterculture” as yourself. It comes close to making you appear to be part of the same machine. So if you were being sarcastic, you duped me…apologies if my misinterpretation was at all insulting.